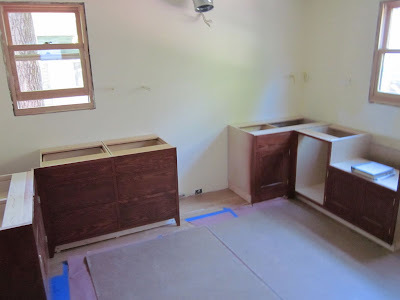 Last Friday the cabinet maker started setting the cabinets. 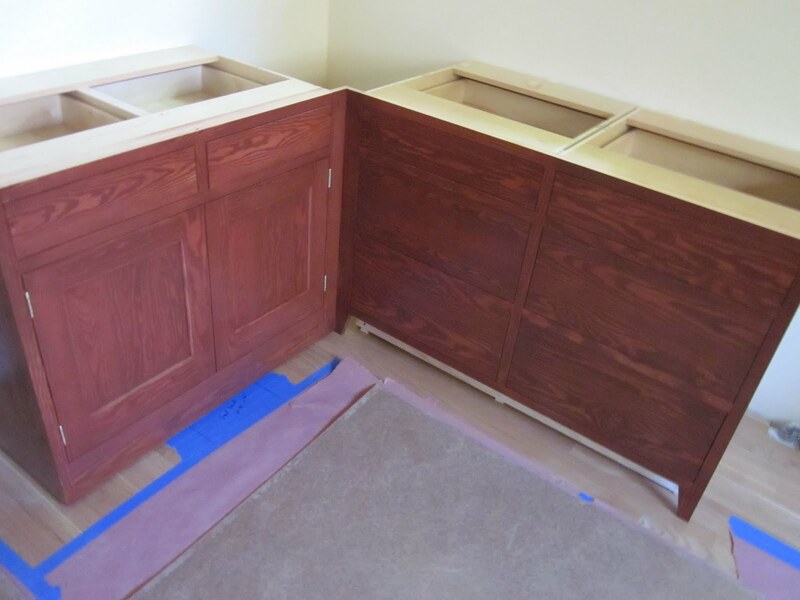 The lower cabinets are in. Sharon just loves the flat sawn douglas fir wood; it was definitely a worthwhile upgrade as it matches the existing woodwork much better than the clear vertical grain (CVG) lumber would have. Jeff also got his pot rack last week. Yesterday afternoon Portland Marble Works came out to measure for the soapstone countertops. Today, we got to go see their proposed layout. It is so exciting to see the kitchen finally come together. Our kitchen faucet has arrived. It won't be unwrapped until it's time for install. 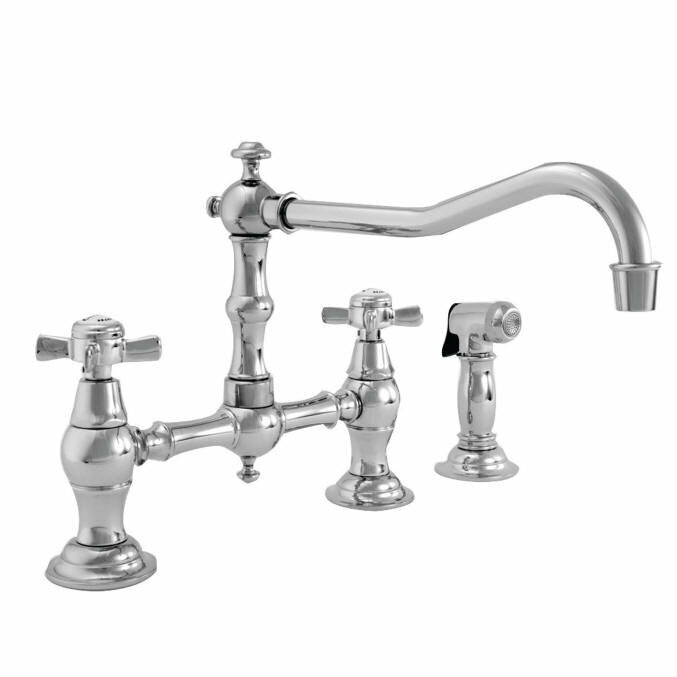 This is the Newport Brass faucet we chose, in brass finish.